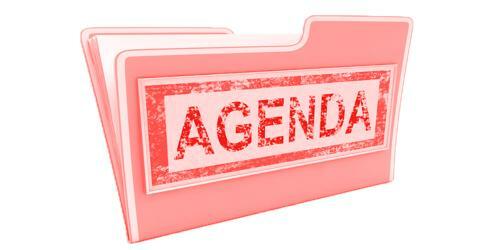 Creating a board meeting agenda needs the individual to inquire of and list down the reasons why the board meeting is being scheduled. The date and time of the board meeting must be mentioned on the agenda. The board meeting must be divided into different sections to give adequate time for the introductory session. The focused topic of the meeting must be highlighted to provide board members information about the subject they should be prepared for. Communications from The Business Community. Financial Reports Forwarded by The Business Community. Discussion And Possible Action On the Proposal For Additional Fresh Taxes Which Are Proposed. Receiving Proposals for Retention of Taxes At the Present Levels Without Levying Additional Taxes. Discussion of Any Other Proposals Which May Be Suggested. I the undersigned [title of the signatory] hereby certify that the agenda mentioned above was posted on the bulletin board located at [name of the location, address, date and time]. Meeting called to order by the president. Distribution and discussion of officer duties along with the timetable. Orientation Of Officers/Transfer of Materials. Review of correspondence templates on the side of the company at URL. Distribution and discussion of the latest report by the treasurer. Discussion and transfer of signatures on bank accounts, cashbox, and chequebook. Transfer of archived CD-ROMs to the new President-elect. Transfer of equipment to the new secretary and the signing of the contract for the equipment. Setting up web email accounts for everyone. Goals of the Board For the Upcoming Year. Planning for The Next Meeting.